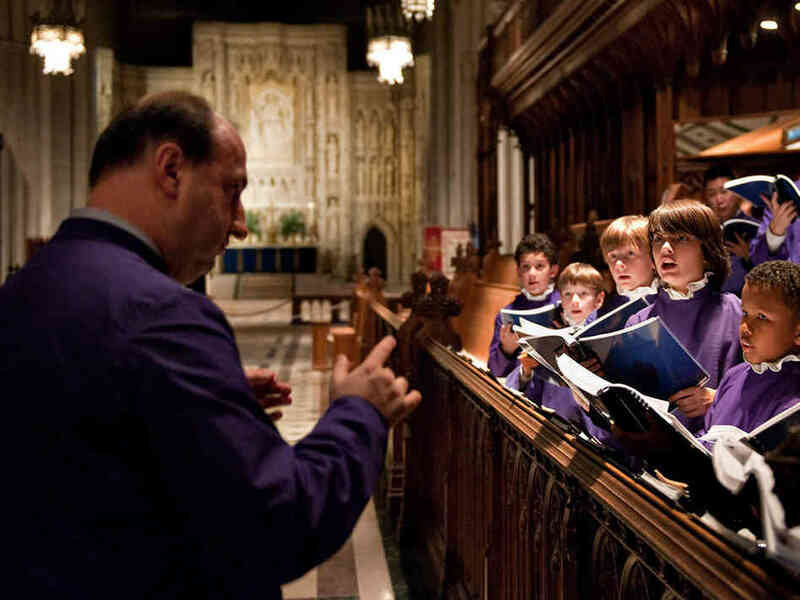 We welcome the Boys Choristers of Washington National Cathedral to Grace Church in New York as they sing for us at the Wednesday evening service of Holy Communion on 11 June at 6:00 p.m. Founded in 1909, this choir is currently one of very few cathedral choirs of men and boys in the United States with an affiliated school, in the English tradition. The 18–22 boys singing treble are ages 8–14 and attend St. Albans School, the Cathedral school for boys, on singing scholarships. The choristers sing 9–15 hours each week in rehearsals and services, in addition to their regular academic schedule. The men of the choir are professional musicians from the greater Washington area and sing countertenor, tenor, and bass to complete the choir. The Men and Boys sing for the principal Cathedral services, radio and television broadcasts, and concerts. Each year the choir participates in special services of national and ecumenical importance, such as the memorial service for Princess Diana. The Men and Boys have made a dozen recordings for various labels, and have toured and performed nationwide.